Lleida is the land with more diversity and density of birds in Catalonia. On their horizons fly hundreds of species that make the surface in a unique ornithological spectacle. Learn about the activities and services we offer at the hands of the experts. 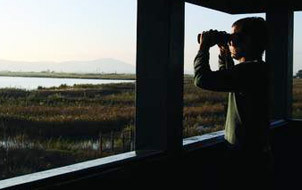 Come spend a weekend at a country house to discover the peculiarities of the birds of Lleida. Enjoy the knowledge and relax in natural surroundings without precedent. 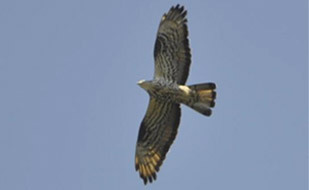 Photography of birds from hides ("Hides"). 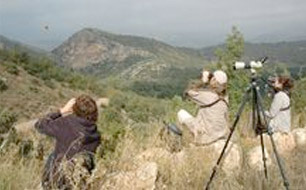 The hides or "hide" in English is the technique used to hide when photographing wildlife. Want to learn to recognize birds have closer and customs? You know differentiate between males and females of birds? Come and tell us Become secrets. Activity designed to stimulate the curiosity to approach the bird a little more and see for yourself that living with the birds is a very positive experience, can teach us many things, especially about the world around us. It is an educational tool and playful birds around the world .... we enter the unknown world and we feel its very attracted to them. Different species in a few days. Our experience and knowledge available to photographers. We believe that by enhancing the knowledge of the different species, through photography, helped, no doubt, to their conservation. Schedules as. Nature family lives in the company of your children and in a playful and training. Here you will find accommodation, activities, workshops, courses and hiking related to the world of nature that can make the entire family. Training for families and the general public seeks to provide tools, resources, and theoretical and practical knowledge about our natural environment and biodiversity, as a strategy for advocacy and dissemination of measures to protect nature.